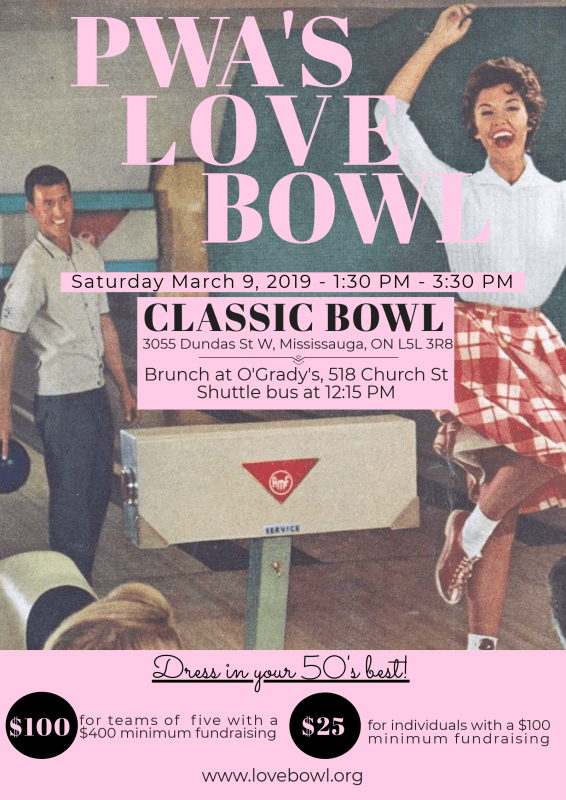 The 10th Annual Love Bowl –good times and more fun than you can handle! 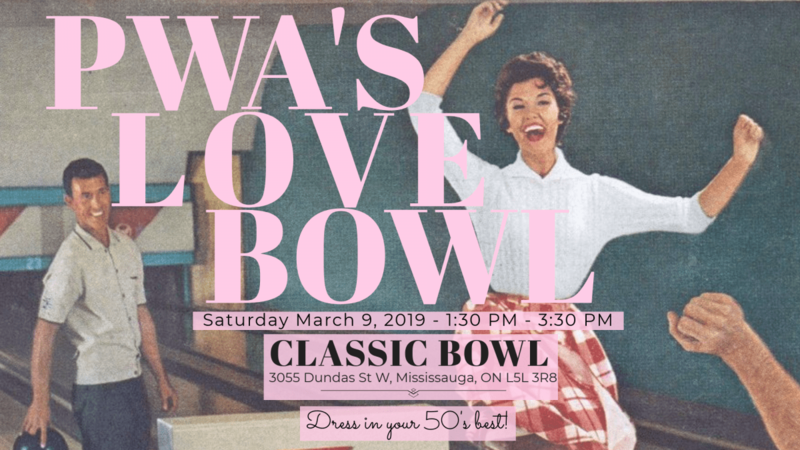 On Saturday March 9, 2019 from, 1:30pm to 3:30pm, make a strike for the Toronto People With AIDS Foundation (PWA) at the annual fundraiser, LOVE BOWL. The theme is the 50’s so dress in your best! The event will be held at the Classic Bowl located at 3055 Dundas Street West, Mississauga. 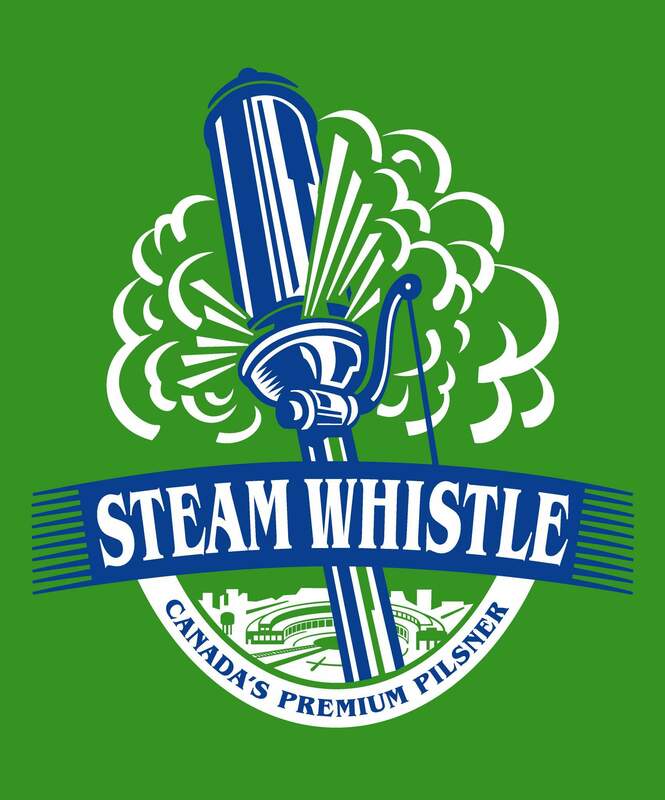 A chartered bus will pick you up at the southwest corner of Church/Maitland at 11:50 a.m. (please confirm in your registration if needed) and return us all at the corner of Church/Maitland. Are you a friend or family member of someone registered for PWA's 20th Anniversary Friends For Life Bike Rally?